Australian developer Hipster Whale – best known for smartphone hits Crossy Road and Pac-Man 256 – is making the leap in the world of videogame publishing. Coinciding with the news, Hipster Whale has brought on Clara Reeves as Company President. Previously, Reeves was Film Victoria's investment manager for Games, Digital Content, and Animation. From your perspective, how do you see the state of Australia's video game industry? Last year I was on a panel at PAX that asked the exact same question, so thinking back to that and how that discussion went, I think it's all very positive. If you look back even five years, there was a lot of doom and gloom when people were talking about the industry locally, and I think that it's entirely shifted now. There's good comradery in Australia, and you've got things like The Arcade, and Melbourne International Games Week, PAX being set up here. Developers here are working together, not competing against each other, and we’re all stronger for it. When people are successful, they’re sharing that success and knowledge. Even just going to GDC, you mention you're from Australia and people say “Oh, there's good stuff going on there”, so we must be doing something right. Are there any challenges do Australian developers face that are unique to Australia? Hm. You do always need to get on a plane. As much as the internet bridges those divides, some face to face time helps you understand the marketplace you’re working in. We’re a global industry and mostly and export market. I think that goes for developers anywhere really, you have to connect with the rest of the world – but we are just that bit further away here in Australia. Why has Hipster Whale moved into publishing? I think Andy [Sum] said it best, and I’m going to misquote him now, but there have been a lot of enquiries from people wanting to talk about their games with Hipster Whale and this felt like the next right step for the business. What kind of games will you be looking to showcase? It's obviously still early days. I think as we start to release a slate of projects, people will be able to get a feel for what makes a “Hipster Whale” game. I get that I’m answering your question without really answering it, but we don't want to be too prescriptive because that might exclude some weird and interesting stuff that we don’t even know we should be looking for yet. What do you see as the benefits of working with Hipster Whale as a publisher? I think when working with any publisher, you're looking for the audience reach and resources they have, so you can just focus on the creative side and make the best game you possibly can. As developers ourselves, we get the creative people and processes behind the projects. We want to see other developers have success with us, using the market intelligence, brand presence and strong relationships we’ve worked hard to create. 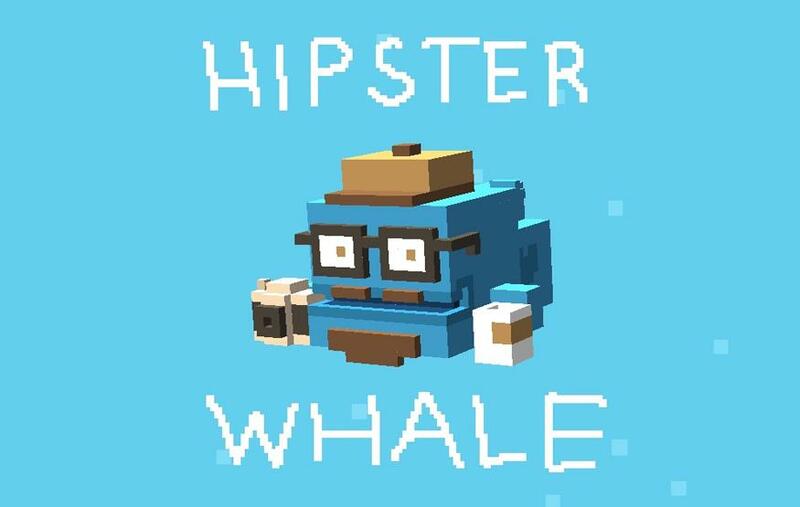 Hipster Whale has predominantly been a mobile first studio. Do you think the move into publishing will change this? I don't think that's something we'd want to lock in to, or how we define ourselves anyway. Obviously that's how we've run to date, with Pac-Man 256 going from smartphone to console, but I think it's more a case of looking at what's the right platform for each project. What have you taken away from your time at Film Victoria? Well, I guess there were some similarities with my role now at Hipster Whale, where you get to see a lot of projects and a lot of businesses – you get a bit of an eagle-eye view on how things are running. You start to see consistencies in what makes a successful project and a successful business. What are your favourite games you've played this year? Probably a lot of games, I play a lot of games! I really enjoyed Lara Croft Go, Steppy Pants, I'm huge Civilization fan – I'm always going back to that game. I just started playing Read Only Memories, and I'm liking it so far.